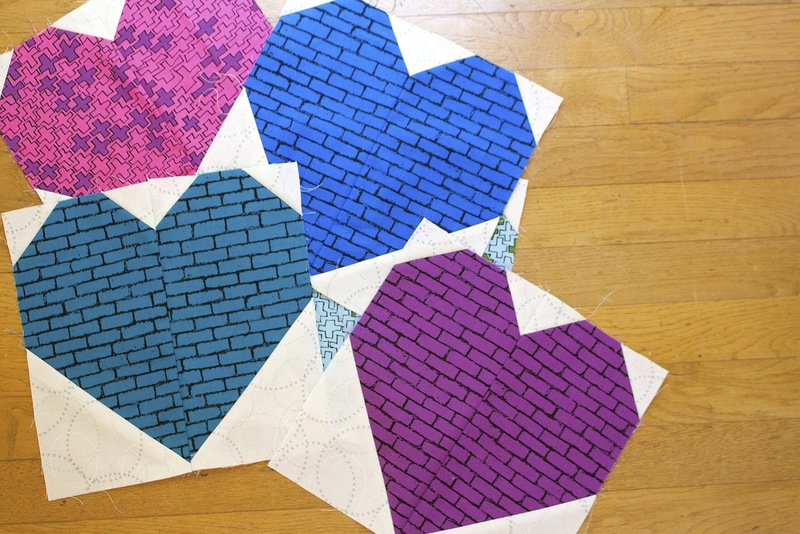 Quilters show support and love by uniting and creating. The tragedy in Orlando sent shockwaves throughout the country this past week. 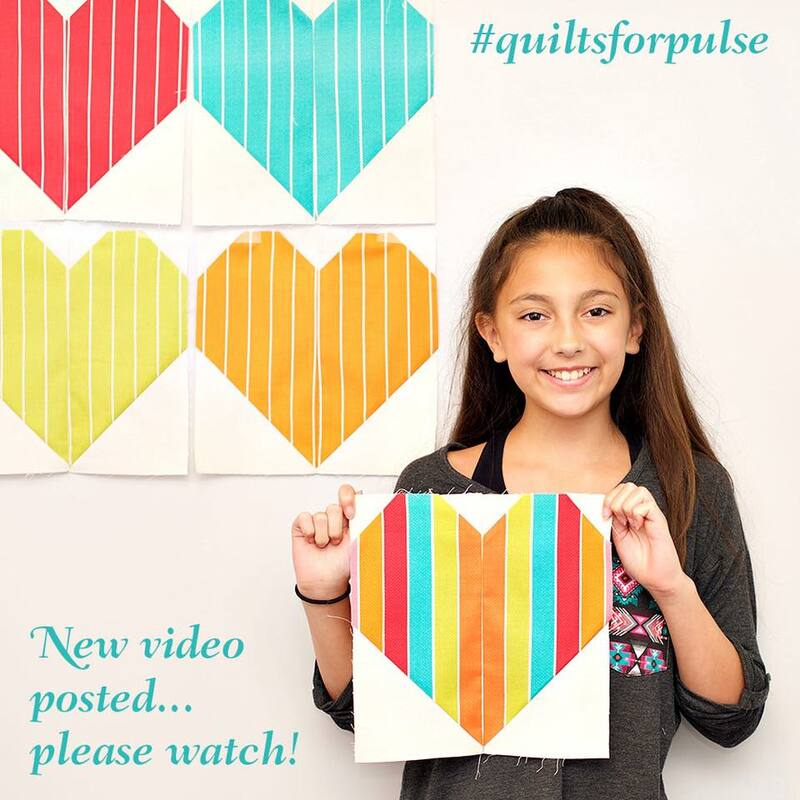 The Orlando Modern Quilt Guild started making quilts and asked if anyone would like to help to show their support for the victims, families and first responders. 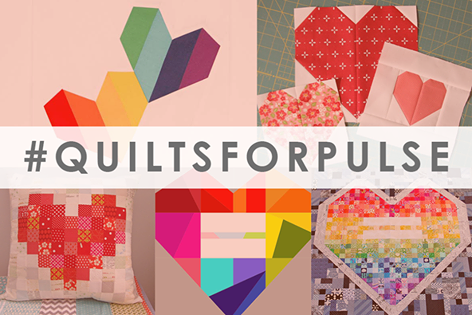 The quilting community gave a massive shout YES! To help the cause, there are a variety of free block patterns available The Modern Quit Guild has the links for these patterns on their blog. 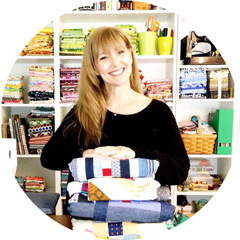 For information on how you personally or your guild can become involved, please visit The Modern Quilt Guild. I made the blocks in the first photo using the Cluck Cluck Sew pattern that is very fast and easy! I made five in a short amount of time yesterday morning. Patty Young's sweet daughter is hoping to encourage more young people to sew for a cause with a video on how to sew these blocks. For the tutorial please visit here. She is a lovely girl with a big heart! I hope you will consider making a block, 10 blocks, a quilt top or ask your quilt guild to help support the Orlando Modern Quilt Guild give comfort. It warms my heart to see the outpouring of support from the quilting community. <3 I really like your blocks - the cross and brick prints are so nice! I am making these blocks today, and I've got about 10 so far! I am hoping to send a completed quilt in the end. You're right that the blocks are really fast and easy. I love working with bright rainbow colors, too! I have made blocks. I may send blocks or I may turn it into a quilt and send that. I have also blogged about it.